What do they mean, too cute? Not for us. These pet posters are adorably addictive. Listen up! 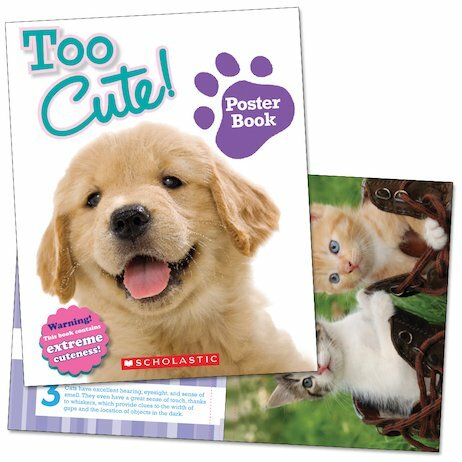 This book contains extreme cuteness and is filled with seriously fluffy posters. It’s your chance to decorate your space with the most huggable pets out there. That means curious kittens, melty-eyed puppies, skittish foals, shy little bunnies… You get the picture. In fact, you get loads of cuddly pictures. Seriously sweet. The cutest way to decorate your room!